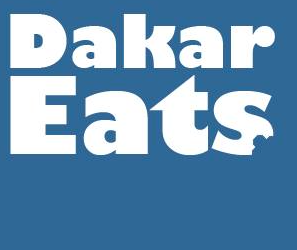 Dakar Eats is happy to welcome Sarah Sams on board! She will be introducing us to some of the newest restaurants in town and sharing her culinary experiences as she goes. Nestled in a quiet neighborhood in Ngor, there’s a new café opening its doors. Its name, however, is familiar to many in Dakar: Le Sucre-ritLe Sucre-rit. An established favorite at the Dakar Farmer’s Market, the vendor’s opening of a long anticipated brick-and-mortar location in mid-March was celebrated by sweets lovers already intimate with its many cakes, cookies and pastries. Emi Affranchi, owner of Le Sucre-rit, said its new location was strategic––sitting off the main road in a residential area, the café offers a peaceful retreat to its guests. Comfortable seating, natural lighting, warm wood grains and custom décor add to this inviting atmosphere. “We wanted to build a space that is easy going and organic––where people can feel at home,” explained Emi. Accessible WiFi allows guests to work as they sip their coffee or fresh juice. Emi and his wife, Soukèyna, are the mastermind chefs behind Le Sucre-rit. They met a few years ago while Emi was vacationing in Senegal. “I came here and I fell in love with the place, and with my wife,” he said. Both had previously worked in the food industry, including private chef experience, catering and hospitality. Combining that experience, they started Le Sucre-rit. Le Sucre-rit’s menu will include familiar items previously featured at the Dakar Farmer’s Market, such as brownies, muffins, cakes and pastries. But while returning guests can expect to find established favorites, Emi and Soukèyna hope to surprise them with a rotating menu of evolving flavors. “I won’t say there is a signature item everyone should have,” said Emi. “If you like cookies, have a cookie. If you like brownies, have a brownie. But I hope it’s the best brownie you’ve ever had.” Our personal favorites? The mint-infused bissap, lemon cakes and marble pound cake. Sourcing local ingredients, Emi and Soukèyna also hope to feature seasonal flavors, like fresh tartes. A menu board at the front of the café will list daily offerings. Eventually, Le Sucre-rit plans to offer some savory dishes. During the first weeks of the shop’s opening, hours might fluctuate. Tentative hours include 9:30 am to 8 pm, Monday to Saturday. Guests are invited to check for daily updates. Can we expect to still find them at the Dakar Farmer’s Market? For now, Emi says they plan to focus their attention on their new location, but are open to returning to the market, as well as offering delivery services, in the future.